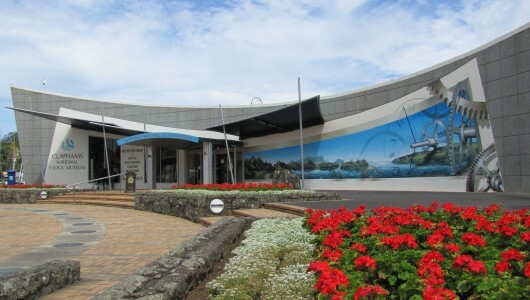 Whangarei’s world-famous clock museum is home to over 2100 clocks and timepieces, making it one of the largest collections of clocks in the Southern Hemisphere. Many Whangarei locals recall with fondness and a chuckle, the inventor, entertainer and practical joker who was Archibald Clapham – or Archie, as he was more commonly known. 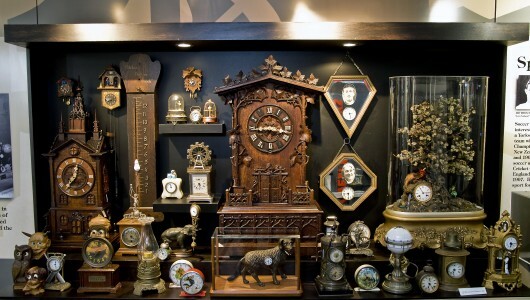 Archie’s personal collection of around 400 clocks once took up most of his family home. Yorkshire-born Archie, who moved to New Zealand in 1903, was well-known for happily opening his doors to those who wanted to come and see his collection. Known for his quirky character and sense of humour, Archie’s favourite clocks were the ones that did something unexpected, and made people laugh. Archie’s fun-loving spirit still remains with his unique collection today, at the purpose-built Claphams National Clock Museum in Whangarei’s Town Basin. 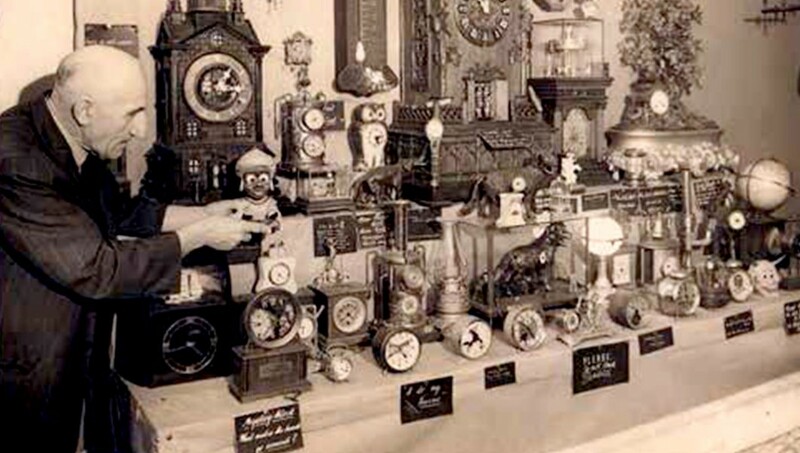 In 1961, Archie sold his clocks to the local Council for a nominal sum, effectively gifting his amazing collection to the community he had adopted. The collection has grown to encompass many rare and notable exhibits, which you can now enjoy alongside Archie’s old favourites. We’ve got clocks that will astound you. Bells that will startle. Time pieces to inspire. Some will confuse, many will amuse! We have clocks that wind themselves and clocks too tall for the shelves. We have clocks that will make you tea and clocks that will keep you safe at sea. We have clocks that follow you with their eyes and one where the pendulum flies. We have clocks for engineers and those who like little bears. We have dancing ballerinas and shiny metal steamers. We have clocks for all tastes, but you’ll need to make haste, for in the words of Bruce Lee “If you spend too much time thinking about a thing, you’ll never get it done.” So, come join us for a visit, you’re sure to have fun!